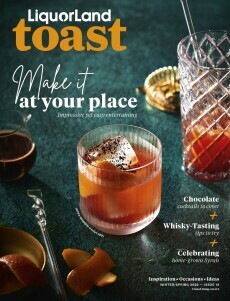 If you’re anything like us here at Liquorland Toast, you’re a tad obsessed with cocktails and constantly spot drink flavour inspiration in everything you see. So when we clapped eyes and nose on The Aromatherapy Company’s Therapy Kitchen Lemongrass, Lime & Bergamot Range, we instantly started longing for these aromatic, sweet and sour ingredients in cocktail form. The Therapy Kitchen Lemongrass, Lime & Bergamot Range is made with natural ingredients such as essential oils of lemongrass, lime and bergamot, honey and avocado – to keep your kitchen and hands smelling fresh and beautifully fragrant while you’re whipping up those cocktails! Pour yourself one of our Lemongrass Mojitos (recipe below) and while you’re happily sipping, enter yourself in this week’s Liquorland Toast draw to win one of two The Aromatherapy Company Therapy Kitchen Lemongrass, Lime & Bergamot sets. Each set includes a Hand Wash, Hand Cream and Candle, valued at $74 each.